Heat the oil in a pan and sauté the onion and fennel for approx. 3 mins. Pour in the stock, bring to the boil, cook on a medium heat for approx. 5 mins. Add the cashews, cook for a further 5 mins. Puree the soup, season. Mix the olives with the lime zest, juice and oil. 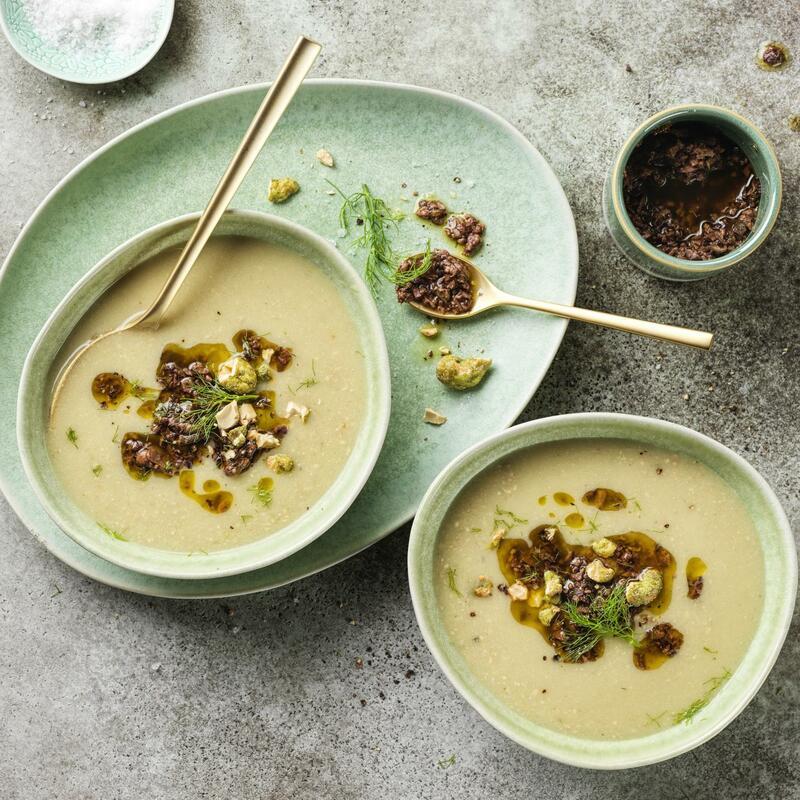 Serve the soup in plates, with a drizzle of pesto.